Published in three parts by the International Review of the Armed Forces Medical Services (Revue Internationale des Services de Santé des Forces Armées-Hôpital Militaire Reine Astrid-Brussels-Belgium)since Vol 86/2 June 2013. Este año Argentina y Gran Bretaña, en un medio de tensión, conmemoran los 30 años del conflicto llevado a cabo por la soberanía de las islas Malvinas. Esta circunstancia se refleja admirablemente en el libro del Profesor Bernard McGuirk titulado Falklands-Malvinas: an unfinished business¨. Este artículo presenta una actualización médica del conflicto y brinda además una nota de reconciliación entre los militares de ambos bandos surgida a partir del Grupo Nottingham-Malvinas. Cette année, l'Argentine et la Grande-Bretagne, dans une moyenne tension, commémorant 30 ans de conflit mené par la souveraineté des îles Malvinas. Cela se reflète admirablement dans le livre du professeur Bernard McGuirk appelé ¨ Falkland-Malvinas : Un travail inachevé ¨. Cet article présente une mise à jour médicale du conflit et fournit une note de réconciliation entre les militaires des deux côtés découlant du Groupe Nottingham- Malvinas. 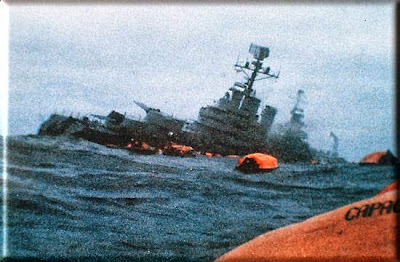 The Conflict of Malvinas between Argentina and UK took place over a quarter of a century ago between April 2nd and June 14th, 1982. There were 33 days of combat. 28,000 British airmen, sailors and soldiers sailed south in May of 1982.For the British the first Gulf War was undreamt then and later expeditionary wars in the Balkans, Iraq and Afghanistan beyond their wildest imagination (74). For Argentina it was the first conflict since the War of the Triple Alliance (1870). Simon Jenkins published too a most enlightening article on the conflict at the British newspaper The Guardian on February 25th, 2010. (44) and even good will proposals came from Philip Michael Hensher FRSL at The Independent, February 3rd, 2012. The 30th anniversary found the world amidst an international economic crisis.In 2012 UK unemployment jumped by 48,000 in the quarter to December to 2.67 million, a jobless rate of 8.4 percent, the worst figure since the end of 1995. (The Independent 15 Feb 2012). In the United Nations Security Council Resolution 502 (April 3,1982) the United Kingdom received political support from Zaire, Guyana, Ireland, Jordan, Japan, Togo, France and the USA. Argentina on the other hand received political support from Panama, China, Poland and Spain. The Soviet Union abstained. The USA provided the United Kingdom with military equipment ranging from submarine detectors to the latest missiles. France provided dissimilar aircraft training so Harrier pilots could train against the French aircraft used by Argentina. French and British intelligence also worked to prevent Argentina from obtaining more Exocet missiles on the international market. Chile gave support to Britain in the form of Intelligence about Argentine military and radar early warning. Argentina was supported by Israeli advisors and planes, pilots and advisers from Perú. Sources state that there were 123 British Army personnel, 88 Royal Navy, 10 Royal Fleet Auxiliary, 9 Merchant Navy, 25 Royal Marines, 1 RAF, and 3 women civilian casualties. The most senior rank killed was Lieutenant Colonel Jones VC who was killed while leading his troops at the Battle of Goose Green. Of the 255 British casualties ,80 percent of these came at the hands of the Argentine Air Naval Task Force. 23 bodies did remain in the Falklands and are buried at the " Blue Beach" Military Cemetery at San Carlos not far from where 3rd Commando Brigade had its headquarters until the breakout. Many of the bodies of the men who died at sea were never found and the ships on which they served and died on have became their everlasting and official memorial. Two years after the Conflict the 23 major British Army amputees out of a total of 38 Service amputees resulting from hostilities and their aftermath were reviewed at the Queen Elizabeth Military Hospital . Of the total of 38 cases, 32 were major (rate of 4 percent) and six minor. It is noteworthy that, of the major Army amputees, 11 (48 percent) occurred as a result of injury sustained after the ceasefire. The amputation rate in the European theatres in one US evacuation hospital for 12 months from 1944-45 was 3.7 percent. In this latter group, clostridial myositis was the indication for amputation in 11 percent and overall mortality was 6.4 percent. In the Malvinas series no patient who survived to reach primary surgical care subsequently died and in no case was clostridial infection an indication for amputation. Wounds of the extremities constituted 67.5 percent of injuries operated on by the British Army surgical teams. There were 649 Argentines killed (323 were of the cruiser ARA General Belgrano representing 50 percent of all casualties-102 were 18 years old conscripts) and 1082 wounded. (33,80). Advanced British surgical centers were set up and 241 patients underwent surgery.(3). 200 Argentinian casualties were treated by British Surgeon Commander Rick Jolly's team of the field hospital at Ajax Bay. During the conflict the Argentines lost a submarine (ARA Santa Fé) and a light cruiser (ARA General Belgrano), 75 fixed-wing aircraft of the three forces and 25 helicopters. The British had 8 warships lost or mortally damaged, 8 were left inactive, 8 were seriously damaged and other 10 slightly damaged. (CNN February 9, 2010). Five Argentine Skyhawks and nineteen Mirages were destroyed by the American-made air-to-air Sidewinder missile AIM-9L. The Harrier´s kill ratio was 28 percent. More than half of SAM kills were attributed to land-based Rapier and shoulder-fire supersonic Blowpipe missile. In the air campaign the Argentine forces made a total of 430 attack sorties from the mainland of which 18 aircraft were intercepted by the Sea Harriers and another 14 were shot down by anti aircraft defences. The A4 –B and C Skyhawk pilots flew with unreliable ejection seats due to the US embargo placed from 1977. Then there was the missile action against the HMS Penelope. ( Potter, M. C. (2000). Blue-on-blue in the Falklands. United States Naval Institute. Proceedings, 126 (10), 96-101.) 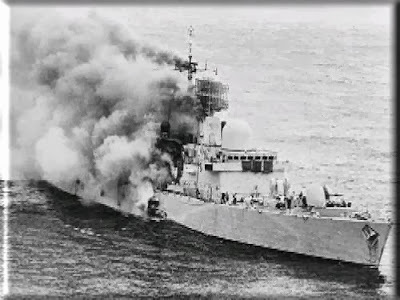 and the other incident happened when HMS Cardiff and HMS Yormouth nearly fired on the LCUs because the commanders had not been informed of the presence of friendly forces. Goose Green (28-29 May 1982) was a hard slog for the Parachute Battalion (Para) . Lt Col Herbert Jones and Maj Chris Keeble of 2 Para faced Task Force Mercedes consisted of the Lieutenant-Colonel Italo Piaggi's 12th Infantry Regiment (RI 12) and a company of the Ranger-type 25th Infantry Regiment (Argentina) (RI 25). The battle lasted more than 40 hours. The 2 Para lost 17 killed and 64 wounded. Argentines had 47 killed and 145 wounded. During the 1982 conflict the 3rd Parachute Battalion commanded by Lieutenant Colonel Hew Pike suffered the most losses for a single unit with 23 killed and 47 wounded during the Battle of Mount Longdon (11-12 June 1982) and two days of shelling. Naval gunfire support was provided by HMS Avenger's 4.5-in gun. Pike faced the B Company of the 7th Infantry Regiment (RI 7) Coronel Conde commanded by Army Major Carlos Carrizo- Salvadores who after a 10 hours combat had 31 killed and 120 wounded. On the night of 13 June -14 June 1982, the British launched an assault on Mount Tumbledown. Lt Col Michael Scott of the 2nd Battalion Scots Guard faced Commander Carlos Robacio's 5th Marine Infantry Battalion (BIM 5). The attacking British forces consisted of the 2nd Battalion, Scots Guards, mortar detachments from 42 Commando, Royal Marines and the 1/7th Duke of Edinburgh's Own Gurkha Rifles, as well as support from a troop of the Blues and Royals equipped with two Scorpion light tanks. Scott had 9 killed and 43 wounded while Robacio had 30 killed and probably 100 wounded. (77) The Argentine Marines received 1000 rounds per hour from 54 firearms placed West, fire from 3-5 ships placed North and South and air attacks from planes and helicopters. 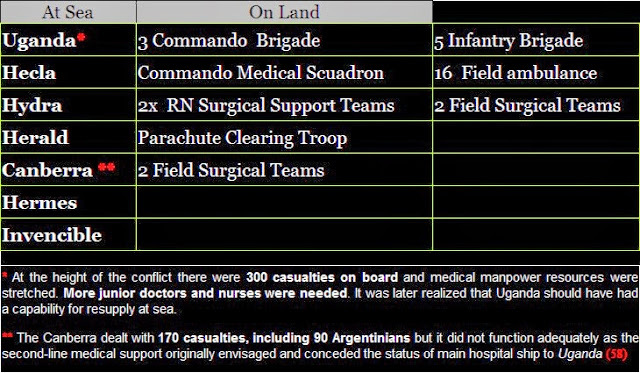 During the conflict 40 Argentine gendarmes (Alacrán Squadron) who joined the 601 Army Commando suffered 7 deaths which was the biggest casualty proportion in regard to the men who participated. The majority of the Argentine casualties resulted from ground actions supported by artillery and naval gun fire. He(Marlantes) describes the adrenaline rush of combat, the act of killing, and its aftermath. He recounts years of guilt and denial associated with no-quarter fighting, which he says, fit the disastrous and stupid notion of body count on which he and his fellow comrades in arms were judged, a method of score-keeping that now seems callous to him. The British medical supply for all three Services was made through the Defence Medical Equipment Deport at Ludgershall, Hampshire. The first operational medical equipment to be issued was to the Commando Medical Squadron and Royal Navy Surgical Support Team (SSTs). Each SST comprised two surgeons, an anaesthesist, a resuscitation officer, an administrative officer and 18 medical assistants and technicians. SST Nº 2 was supplemented by a faciomaxillary surgeon and was destined to go ashore with the Marines after the San Carlos landing. SST Nº 3 also had a faciomaxillary surgeon, but included a psychiatrist, two additional surgeons, an extra anaesthetist and supplementary nursing staff. The hospital ship Uganda was supplied in Gibraltar followed by further equipment flown out to Ascension Island. The RFAs carried medical supplies too. Blood groups were checked on the British marines bled in Canberra and an error of 2.7 percent was found between the actual group and that stamped on identity discs (58). 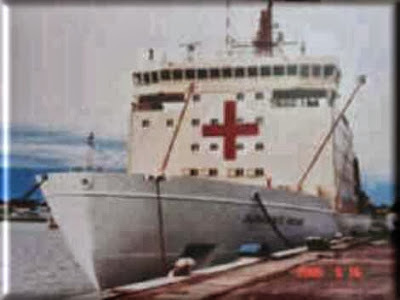 Two consignments of 396 units were supplied to the hospital ship by the Army Blood Supply Depot from donors bled in the UK, and a similar consignment went to the QE2.Altogeher, from all sources, a total of 3262 unites were provided. The anticoagulant citrate phosphate dextrose which has a longer storage life replaced acid citrate dextrose but very little was available during the campaign. Of the blood supplied, 605 unites were used giving a usage rate of 18.55 percent. Damage to the brain after trauma (for example, a blow or jolt to the head, a penetrating head injury, or exposure to an external energy source) is referred to as traumatic brain injury (TBI). The US Defense and Veteran Brain Injury Center attributes about 60 percent of all military MTBIs to the force of explosive blasts. About 80 percent of all military TBIs are classified as only ¨concussions¨ despite having been caused by explosive blast exposure. In mild TBI (MTBI) the effects might not be immediately evident and might not be evident with conventional neuroimaging. Most of these injuries result in diffuse axonal injury (DAI). Certain regions have a great vulnerability to this injury: the corpus callosum, the rostral brainstem and the subfrontal white matter. Tissue-tear hemorrhages are characteristically located in the parasagittal portion of the brain and are associated with DAI. 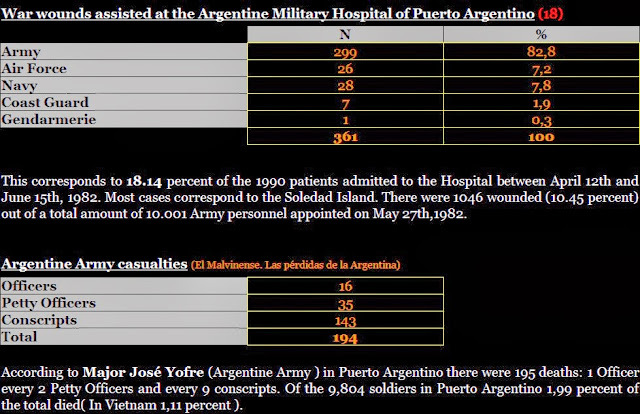 An analysis of injuries treated by operation during the 1982 Conflict in Malvinas by the British Army Field Surgical revealed that 14 percent (36 cases) were of the head and neck. In 45 percent of cases the injuries were due to fragment and 31.8 percent to bullets. The majority of wounds were caused by high velocity missiles. 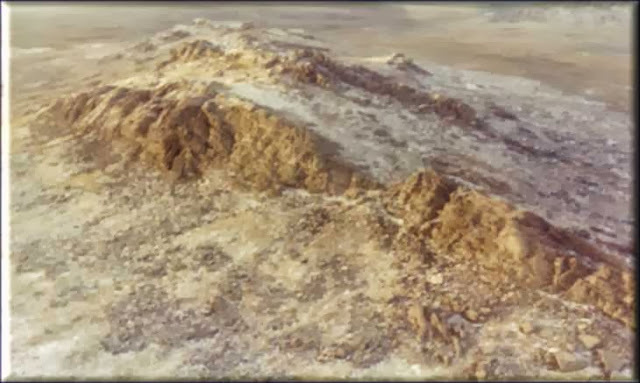 All wounds were presumed to be heavily contaminated as a result of the cavitation effect of the wounding agent. (43). It´s interesting to observe that in the Vietnam War, 12-14 percent of all combat casualties had a TBI and another 2-4 percent had a TBI plus a lethal wound of the chest or abdomen. In Operation Enduring Freedom (OEF) and Operation Iraqi Freedom (OIF) explosive devices have become more powerful. According to the Department of Defense (DoD) Personnel and Procurement Statistics, 75 percent of all US military casualties in OEF and OIF were caused by explosive weaponry. As of January 2008 DoD reported that over 5,500 soldiers had suffered TBIs. In Afghanistan and Iraq, TBI accounted for about 22 percent of casualties. The Defense and Veterans Brain Injury center estimates that in the year 2010 alone, about 31,200 members sustained TBIs. 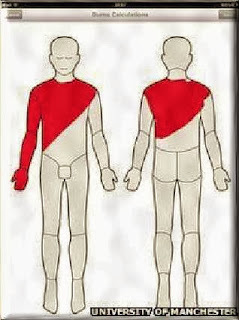 From 2007 to 2009 an average of 27,000 new such injuries occurred each year. Most Veterans´Administration Hospitals cannot distinguish between military MTBI and sport concussion. The imaging method called Diffusion Tensor Imaging shows promise as a military MTBI detector capable of distinguishing that condition from concussion. But its scarcity, cost, and the requisite expertise preclude its use at many VA centers in the near future. 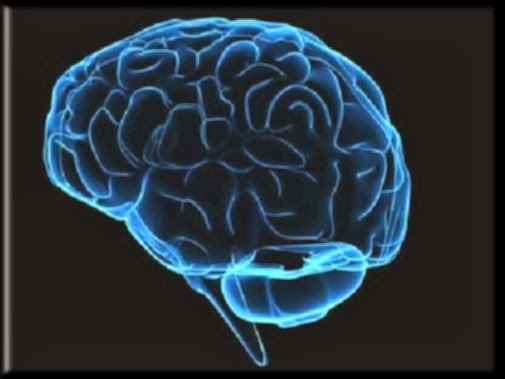 Since most people would associate emotional irregularity with psychological instability and not with concrete tissue injury, brain injury would likely proceed undiagnosed. Cognitive impairments, especially those that persists without proper recovery, decrease military-occupation-speciality-specific technical dexterity. (12,57) . Recent evidence published in The New England Journal of Medicine shows that brain tissue does not completely repair after an MTBI. A research showed that six to twelve months after blast injury service members still exhibited injured connectivity tracts. Several brain regions (hippocampus, amygdala, medial and prefrontal cortex)are vulnerable to biomechanical forces in the typical TBI. They are the same regions implicated in the etiology of PTSD suggesting there may be a common etiological pathway resulting in the overlapping clinical symptoms. 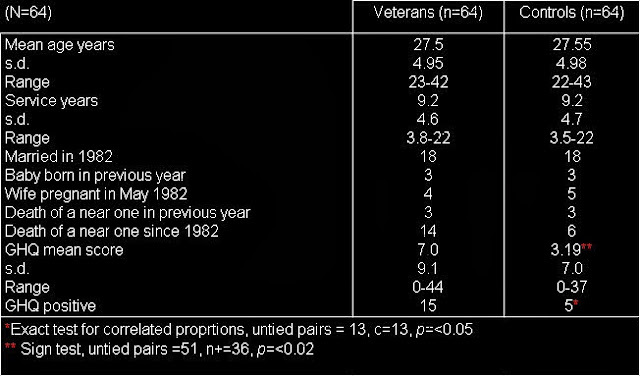 Vanderploeg et al in a study in Vietnam era veterans, found that self-report of an MTBI was associated with an almost twofold increase in rate of PTSD. MTBI was also associated with a lower long-term likelihood of having recovered from PTSD. The mechanism is unknown. Social functioning is often damaged after TBI and might continue up to 15 years after injury depending on TBI severity. The probability of being employed 15 years after the Vietnam war was related to the number of residual neurologic deficits, brainvolume loss and cognitive status. The RFA Sir Galahad carried Welsh Guards rifle companies and elements of 16 Field Ambulance including the two surgical teams of 55 FST arrived off Fitzroy settlement. The ship should have anchored in Bluff Cove 5 miles away but could not get up the narrow channel to the planned disembarkation beach.(74). 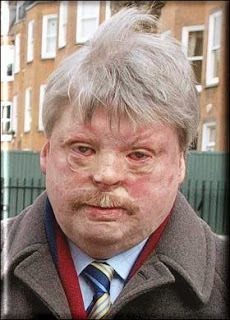 On 8 June 1982 twenty years old Welsh Guard Simon Weston was with other members of his regiment on RFA Sir Galahad in Bluff Cove, just off the Falkland Islands, when it was bombed and set on fire by 5 A-4B Skyhawks from the Argentine Air Force 5th Air Brigade, each of them loaded with three 500 lb retarding tail bombs of Spanish design. Major Roger Nutbeem of the Royal Army Medical Corps was killed during an air raid on RFA Sir Galahad. After the war, a memorial for the British soldiers killed in the attack was erected at Fitzroy. Weston survived with 46 percent burns, following which his face was barely recognisable. He endured 75 operations in 22 years, after 25 percent of his skin suffered third degree burns. He suffered psychological trauma, drinking heavily and becoming suicidal. He has been the subject of a number of BBC documentaries. A separate Burns Unit was established in the Uganda where it was possible to control temperature and humidity, and laboratory facilities were set up.(58). Many cases of burns treated in the Uganda had healed by the time of arrival back in the UK, but 46 were evacuated to Queen Elizabeth Military Hospital in Woolwich. All of these had hand burns and 24 required additional surgery, including a few who needed K-wire fusion or reconstruction with silastic prostheses to interphalangeal joints. Most face and scalp burns were superficial, but two needed early grafting of the upper lids, and 20 patients had lost tissue from the margins of the pinnas. There were only three full-thickness burns of the trunk or proximal limbs. More than 900 American service members have severely burned in Iraq or Afghanistan since 2001, typically from roadside bombs. Almost all received extraordinary emergency care and rehabilitation at Brooke Army Medical Center but many will never have their faces restored. 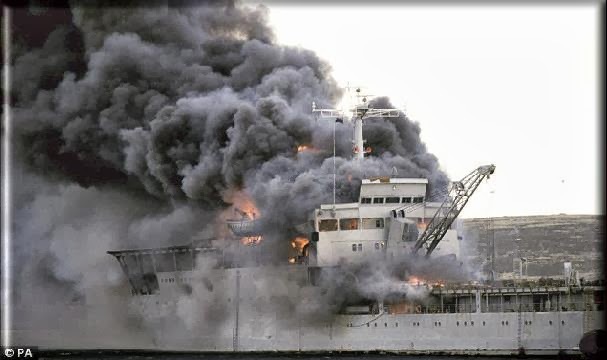 Smoke inhalation led to a significant number of British casualties during the campaign which included the HMS Sheffield and of course the Sir Galahad bombings. The damage sustained to lungs is in part due to hypoxia, but inhalation of carbon monoxide and hydrogen cyanide from plastics and paints also contributes. The Royal Navy had an insufficient amount of Emergency Life Support Apparatus (ELSA). 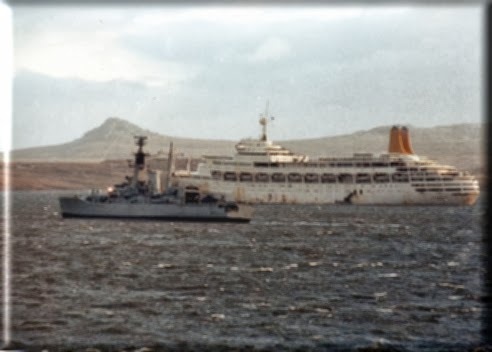 Argentine ARA Hercules and British HMS Sheffield were Frigates Type 42 both built at Vickers Shipbuilders Ltd, Barrow-in-Furness (UK) .The HMS Shefffield was launched on 10 June 1971 and the Hercules was launched on 24 October 1972 . According to the National Geographic Society the ship is located 4,200 meters under the surface of the sea. Nonfreezing cold-induced injury (NFCI) or so called trench foot is a clinical syndrome that occurs when tissues are exposed to cold temperatures close to freezing point(0-15ºC) for sustained periods. NFCI does not involve tissue freezing, which distinguishes it both clinically and pathologically from frostbite. 245 cases of trench foot were registered on May 27th, 1982 among the 10,001 Argentine Army personnel (2.44 percent), 169 were from the Soledad island. 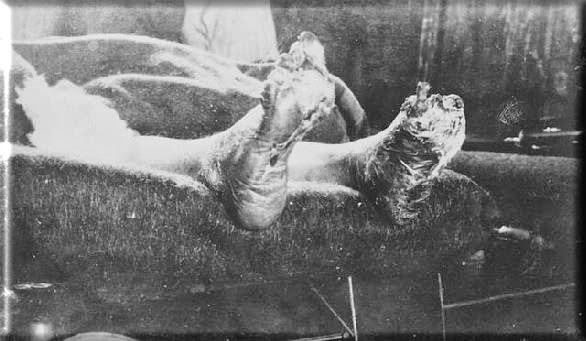 Trench foot caused 14 percent of Argentine casualties. 173 trench foot cases were assisted at the Puerto Argentino Military Hospital, This corresponds to 8.69 per cent out of 1,990 patients assisted at the same hospital in the same period. All trench foot cases were from the Soledad island; 164 from the Army (Infantry 68 percent, Artillery 12 percent, Engineers 8 percent, Cavalry 5 percent, Commando Brigade 4percent, and Logistic 3percent)and the remaining six from the Navy and Air Force. A research, performed one year after the Malvinas conflict, was made among six group of British soldiers, three from 3rd Battalion, The Parachute Regiment and three from 2nd Battalion, Scots Guards. The first two groups consisted of men from these battalions who were diagnosed as having sustained cold injury in Malvinas. Confirmation of this diagnosis was made by objective measurements of impaired nerve conduction and by abnormal vasomotor response to a cold stimulus observed by strain-gauge plethysmography. The second group consisted of men of similar age who had gone to Malvinas who did not sustain injury despite being subjected to an identical environment. Selection of these subjects was made by the subunit commanders who had led them during the war. The third group consisted of a similar number of soldiers who did not go to the Malvinas and who had not previously suffered the effects of cold elsewhere in the world. Since 1982 the standard treatment in the British military for the severe trench foot pain has been amitryptiline hydrochloride. The standard regime is 10-25 mg nocte initially increasing the dose by 25 mg every three nights or so to a maximum of 100 mg until the pain subsides. Incremental increase in dosage may be required. Gabapentin may offer an alternative approach. Obviously, the improvements in cold weather clothing and particularly foot and hand wear are still a major priority. Changing socks two or three times throughout the day is mandatory. Optimal care entails air drying feet for at least 8 hours out of every 24 (42). The characteristics of high performance clothes are based on: a) Wicking ability, b) Drying time, c) Thermal efficiency, d) Fit and comfort and e) Long term wear. The only effective approach to NFCI is to try to prevent its occurrence. According to the British experienced it consisted of delayed primary suture and reconstructive surgery, but 80 cases were received direct from the front line in the two-day assault on Stanley, and wound excision and debridement was required in three-quartes of these. There were few formal thoracotomies but basal chest drains were inserted in all cases of penetrating chest injury. The established technique of debridement with delayed primary suture 5-10 days later was employed and few infections were encountered. All patients with penetrating wounds were given anti-tetanus toxoid and penicilin. Metronidazole was added for abdominal and head and neck injuries, and sulphadimidine also given in case of compound head injury. A total of 61 patients were admitted to the intensive therapy unit and several were ventilated for up to ten days. 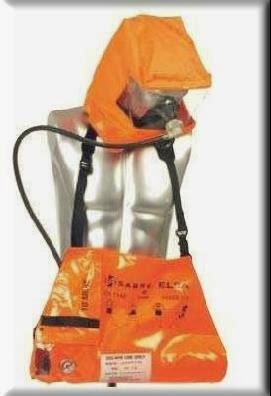 The 3 deaths on board occurred whilst on ventilators. Intravenous feeding was necessary in 4 patients with severe injuries. A few minor blood transfusion reactions were recorded. The value of an intensive therapy unit close to the front line was considerable but the total ITU care concept could not have been maintained if casualty figures had been greater. During the period it was operational, 21 may to 9 June, the British Advanced Surgical Centre received casualties direct from the battlefield, from the Advanced Dressing Stations at Teal and Fitzroy and from ships hit in San Carlos water. In all 725 patients were seen and 210 had surgery under general anesthesia. After resusitation and primary surgery patients were evacuated to Uganda. Most injuries were to the limbs and is probably significant that despite the excellent service given by one dedicated Casevac helicopter, only 2 percent of those admitted had abdominal and 4 percent chest injuries. Of the casualties seen at the Advanced Surgical Centre, only 2 deaths were recorded. It is also noteworthy that about 40 percent of the surgery carried out was on wounded Argentinians. Goldberg,1972,1978;Goldberg et al 1974 ). Often used for community-based research. GHQ positive = If they scored 12 or over. The 1995 research over 145 war veterans showed that 36.6 percent had disintegrated families with abandon of one or two parents. A great amount (35 percent) of their fathers died immediately after the Malvinas war thus increasing the veteran’s sense of guilt. About 64 percent belonged to a low income class. According to a 1997 research 25 to 39 percent suffered of PTSD and 88 percent of them never attended a health center . 74 percent suffered discrimination when searching a job . Only 12 percent owned a property and 35 percent lived in precarious situations. They felt shame and rejection (‘Only the good guys didn’t return’) . 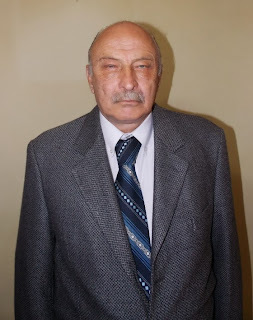 The war veterans´ medical assistance is considered in National Laws 24.736/96 and 25.210/99. The hospital fee exemption is considered in the Buenos Aires Municipal Decree 4475/82. They have obtained the following benefits between 1982 and 1999: 13 National Laws and 3 Decrees, 4 Laws and 2 Decrees in the Province of Buenos Aires and 7 statutes in the Capital city. War Veterans have a National Life Pension and a Provincial Life pension whose amount varies according to the Province. 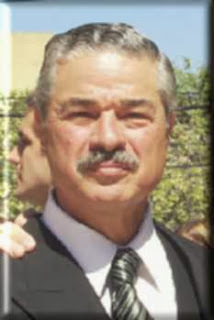 Those who remain in active duty, are liable to receive retirements and have the social benefits of their Armed Forces. There have been some very successful veterans as the well known tenor Dario Volonte, a survivor of the General Belgrano, and Osvaldo Omar De Felippe a soccer player of Huracan team and veteran of the Army 3rd Regiment of La Tablada. ( Clarín 7/2/98 and 11/5/99). According to Anthony D. Mancini an assistant professor of psychology at Pace University (USA) a traumatic event does not necessarily sentence a person to PTSD. In a representative study soon to be published in the British Journal of Psychiatry, Mancini et al examined stress responses among more than 7,000 members of all United States service branches, before and after their deployments. The respondents were not seeking treatment and were representative of the military as a whole. Perhaps most important, their reports were confidential and had no bearing on their military careers. About 83 percent of respondents showed a pattern of resilience: they exhibited a normal-range ability to cope with stress both before and after deployment. By contrast, fewer than 7 percent showed signs of PTSD following deployment. 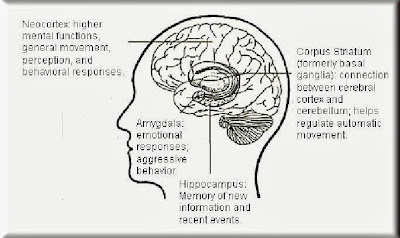 Amygdala activation produces outputs to a number of brain areas that mediate memory consolidation of emotional events and spatial learning (hippocampus), memory of emotional events and choice behaviors (orbital frontal cortex), autonomic and fear reactions (locus coerelus, thalamus and hypothalamus), and instrumental approach or avoidance behavior (dorsal and ventral striatum). In PTSD is postulated that normal checks and balances on amygdala activation have been impaired so that the restraining influence of the medial prefrontal cortex is disrupted. Altered functional connectivity of the amygdala may contribute to recurrent fear conditioning in which ambiguous stimuli are more likely to be appraised as threatening; mechanisms for extinguishing such responses are nullified, and key limbic nuclei are sensitized thereby lowering the threshold for fearful reactivity. Neuroimaging studies have confirmed that key nodal points in this circuitry do not function normally in individuals with PTSD. In 2007 ,an extensive examination of the British military by King´s College in London found rising levels of PTSD and psychological distress in personnel exposed to prolonged period of conflict in Afghanistan and Iraq. A study of 5,500 regular troops found that about 20 percent were on tour for longer than recommended and were at increased risk of PTSD. The MoD had reduced manning requirements for psychiatrists from 25 in 2001 to 15 in 2006. In 2012 the Argentine President announced the creation of a hospital at the headquarters of the Military Geographical Institute in Buenos Aires. It will be the first hospital devoted strictly to the Mental Health of former combatants. 255 British soldiers died in the 1982 Conflict. According to the South Atlantic Medal Association (SAMA) in the decades following the conflict 264 British Malvinas veterans committed suicide. Thus, the 1982 Conflict caused more British suicides than combat casualties. (1,5).The suicide statistics for veterans of the Falklands War and other deployments was the subject of a 2002 lawsuit by British veterans claiming the Ministry of Defense did not adequately care for soldiers with (PTSD), widely believed to be correlated with suicide. In Argentina, ten years after the conflict there was a peak of 12 suicides per day in people 20-24 years old. Each suicide directly affects ten people and indirectly affects a further 50. 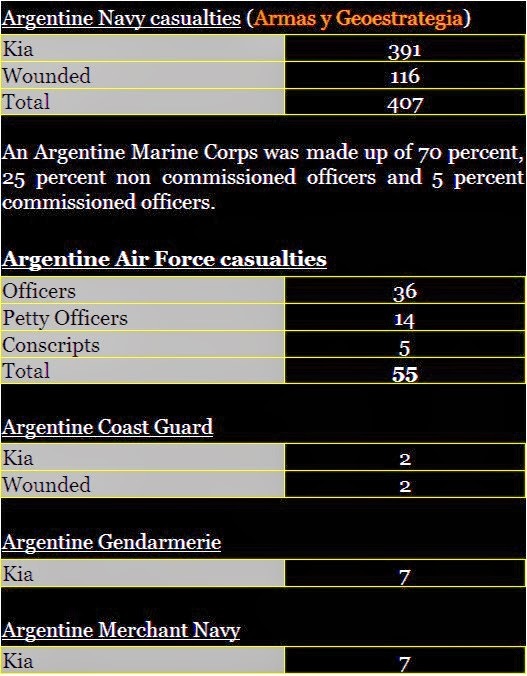 According to a lecture given by the Argentine President on February 7th, 2012 there have been 439 Argentine war veterans deaths since 1982. Very much like UK there are no official figures of how many of them might have been as a result of suicides. The was one British POW, Flight Lieutenant Ian Glover a Harrier pilot. He was shot down at Port Howard mid-way through the war and was held as a POW for the remainder of the war. He was treated well. 1,000 Argentine POW from the Goose Green/Darwin battle, 300 POW from Mount Harriet, a few POW from Two Sisters, 50 POW from Mount Longdon, 27 POW from Tumbledown. They were treated well. Mount Longdon is a question mark. Cohort of World War II veterans consisting of former prisoners of war (POWs) and controls was studied. 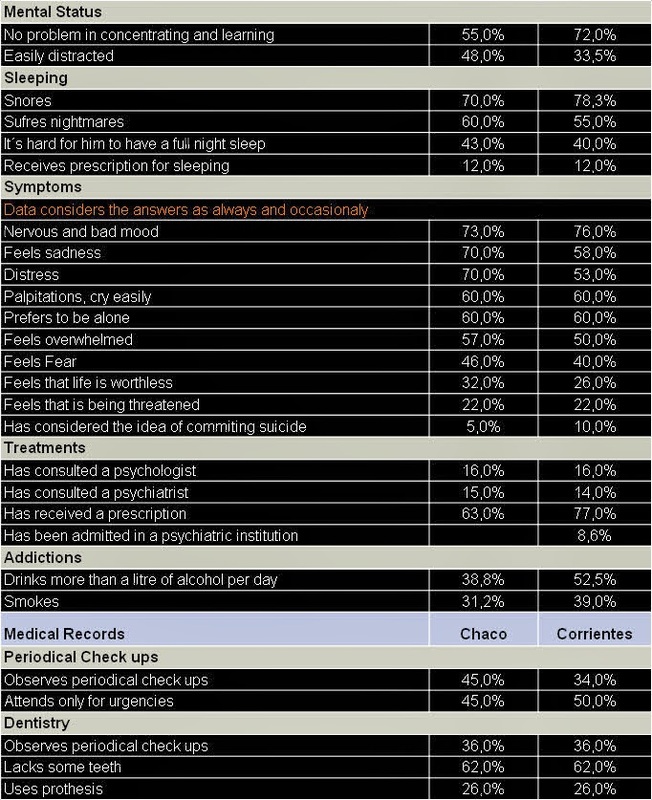 Data were from a followup examination in 1986 that included a standardized history, comprehensive examination, and psychiatric interview. Hastings and Jenkins stated that the 1982 conflict was fought with remarkable respect for decency on both sides. The International Committee of the Red Cross also gave the beligerent partis a broadly clean bill of health in their 1985 report. In regard to weapons use, questions have been raised about the employment of cluster bombs against Port Stanley airport and about the use of phosphorous munitions (both by British forces). Non-combatant status was generally protected and prisoners on both sides seem to have been well treated and speedily repatriated. Anthony Mason, a former captain in the Parachute Regiment(PARA) , claimed that an Argentine wounded POW was dragged out and 'shot over an open grave' on 12 June 1982, the morning after the battle for Mount Longdon. Allegations of atrocities, were under investigation by Scotland Yard and they were first levelled by Vincent Bramley, a former Lance-Corporal in 3 Para, in his best-seller book Excursion to Hell. This is affecting not only war veterans but active duty personnel. A culture of “hazardous” binge drinking is plaguing Britain’s Armed Forces with three times more men and nine times more women drinking dangerous amounts of alcohol than in the civilian population. The report reveals that 17 per cent of men in the Army, Navy and Royal Air Force have severe drinking problems where they are drinking more than 25 pints in a week. A report of 2006 stated that 21 percent of American service members admit to drinking heavily; a statistic the military hasn’t managed to lower in 20 years. ( Staff Sgt. Kathleen T. Rhem, USA American Forces Press Service). 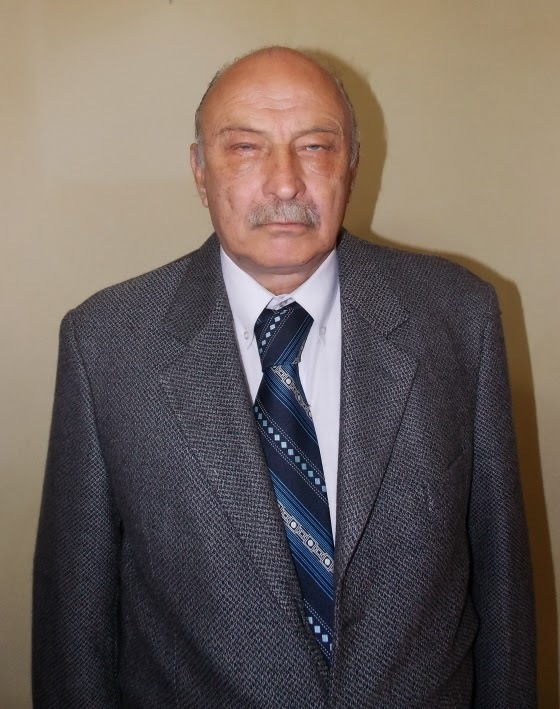 The Argentine Secretary of Programmation for Prevention of Drug Abuse and struggle against drug trafficking (SEDRONAR) has no information of drug abuse among Argentine war veterans. (Esteban Wood-Personal communication). According to the 2012 World Drug Report of the United Nations (UN) presented in Vienna by the International Narcotics Control Board (INCB), Argentina is the South American country that has the highest annual cocaine consumption in the region. Its prevalence rate (consumption of at least once a year) in the population between 15 and 64 years, stands at 2.6 percent, while the average in South America is 1 percent. It is also the continent's second largest consumer after the United States. There is no official data on domestic violence and even less regarding Argentine War Veterans. Notwithstanding, according to the Observatorio Adriana Marisel Zambrano of the Civilian Association La Casa del Encuentro there were 282 deaths of women and girls in 2011. Most women killed had between 31 to 50 years old. (La Nación 4 March 2012). In the province of Catamarca domestic violence represents 72 percent of crimes .In the province of Entre Rios from December 2007 till March 2008 five women were killed as a result of domestic violence. Tucuman registered 1300 cases with a 30 percent increase regarding the last year. Fifty cases were registered too in the province of Santa Fe. (Periodismo Social-El mapa argentino de la violencia contra las mujeres, 2004). A large nationally representative database of 92,000 households in India, where domestic violence is highly prevalent found that women who had experienced domestic violence in the past year had a 37 percent increased risk of asthma. ( ScienceDaily -May 1, 2007). In an American study, Jordan et al. (1992) used a community sample to compare the level of psychological distress in wives of Vietnam veterans with and without PTSD. Wives of PTSD veterans reported significantly more marital problems, more violence on the part of the veteran, more violence themselves, lower levels of happiness and life satisfaction, and more demoralization as compared to wives of non-PTSD veterans. Notwithstanding, a survey by The National Association of Probation Officers (Napo) in UK estimated that 12,000 exservicemen are under supervision of probation officers, with a further 8,500 behind bars in England and Wales. The total of more than 20,000 is more than twice the number currently serving in Afghanistan. (Daily Mail Reporter-26th September 2009 ). The Sistema Nacional de Estadísticas sobre Ejecución de la Pena (SNEEP) has not published yet an update of Argentine War Vererans in jail. Argentine combatants who know average 48 years old face now with the British a common foe: Cardiovascular diseases (CVD) which will become more evident as the years go by. Both countries have great similarities regarding coronary Risk Factors (RF). The late psychological effects of the 1982 conflict are linked to CVDs. The psychological effects may even trigger acute cardiac events. (20, 35). Argentine War Veterans receive free psychological assistance from the Universidad John Fitzgerald Kennedy, the Army´s Centro de Salud Mental Mavinas Argentinas and full medical assistance from the Army, Navy and Air Force Hospitals through an agreement with the INSSJP. The National Health Service (NHS) is the publicly funded health care system in the United Kingdom. 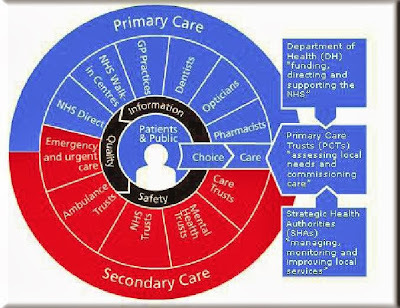 Each of the four constituent countries of the UK (England, Scotland, Wales, Northern Ireland) have their own NHS. It works very much like the Argentine Instituto Nacional de Servicios Sociales para Jubilados y Pensionados (INSSJP). The NHS provides the majority of healthcare in England, including primary care (such as general practitioners),in-patient care, long-term healthcare, ophthalmology and dentistry. The Argentine War Veterans´ Health Division at the INSSJP (very much like their British counterpart NHS) takes care of the 17.507 nationwide war veterans (48.772 including their families) In Feb 11, 2005 through the Resolution 191 the National Program of Assistance to the War Veterans was created. Through Resolution 622 (May 16th, 2005) an Area fully dedicated to the Assistance of the War Veterans was created in all INSSJP´s delegations. Since November 1993, at UNFICYP (United Nations Peacekeeping Forces in Cyprus) Argentine and UK forces operated together in Cyprus controlling 3 percent of the island territory. In Cyprus 18 the Mobile Force Reserve (MFR) was under a British Major command while an Argentine second in charge operated a section. Notwithstanding, reconciliation between Argentine and British forces was coined during the Nottingham International Colloquium which took place on November 17-19, 2006 at Willoughby Hall and later published in the well known book Hors de Combat : The Falklands-Malvinas Conflict in Retrospect published by CCP in UK.(32,34). The only true common denominator pertaining both sides from this conflict is the combat veterans, their problems, and need for effective psychosocial support. No words in the world will ever be able to compensate the lost of a loved one. Janis Jorgensen , Manager, Heritage Collection, US Naval Institute. American Heart Organization-War veterans are more likely to be heavy drinkers, heavy smokers and obese. BBC News-Former army medic designs burns app to aid treatment-14 November 2011. BBC News-Suicides down among US soldiers but violent crime rise- 20 January 2012. Bennett, Will- Falklands soldiers will not be prosecuted: Widespread Relief greets decision after war crimes inquiry. The Independent- Friday, 15 July 1994. Bennett, Will-Last stand on Falklands war crimes inquiry: Military veterans set for Lords battle to stop investigations into claims of coldblooded killings. The Independent-Wednesday, 15 December 1993. Blanco Kiely, Patricia J.-TBI is not just concussion. Proceedings- September 2011. Bolia, Robert S.-The Bluff Cove disaster-Military Review-November-.December 2004. Braid, Mary-Former officer backs Falklands atrocity claim: Parachute Regiment captain ´ saw wounded prisoner being shot over an open grave ´ The Independent, May 24, 1993. Brass, LM and Page, WF-Stroke in former prisoners of war-J Stroke Cerebrovascular 1996 Nov-Dec;6(2):72-8. Brooks MS, Laditka SB, Laditka JN. 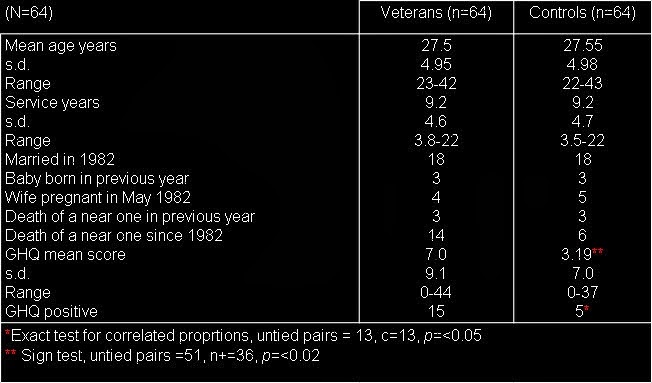 Evidence of greater health care needs among older veterans of the Vietnam War. Mil Med. 2008;173(8):715-720. Burguess, J Captain RAMC.My experiences in the Falklands islands war (Operation Corporate)-JR Army Med Corps 153(S1)21-24. 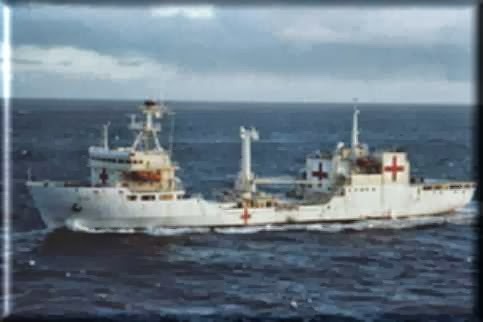 Ceballos, Mariano Enrique y Buroni, José Raúl-La Medicina en la Guerra de Malvinas-Círculo Militar, 1992. Colbeck, Graham-Letter: Falkland prisoners of war treated correctly. The Independent 23 August 1992. Coughlin, Steven S-Post-traumatic Stress Disorder and Cardiovascular Disease-The Open Cardiovascular Medicine Journal, 2011, 5, 164-170. Craig, Lt Col RP-Military Cold Injury during the War in the Falklands islands 1982: An evaluation of possible risk factors-Falklands War 25th Anniversary-JR Army Med Corps 1984 130:89-96. Creasey, H et al-Is experience as a prisoner of war a risk factor for accelerated age-related illness and disability? –J Am Geriatr Soc, 1999 Jan;47(1):60-4. Demling, Robert H-Smoke inhalation lung injury- Eplasty. 2008 May 16;8:e27. Gerding, EC-Trench Foot: The South Atlantic experience-International Review of the Armed Forces Medical Services-Vol LXXI 7/8/9, September 15th, 1998. Goebel, Julius Jr. -The struggle for the Falklands islands: A study in legal an diplomatic history-Yale University Press. Place of Publication: New Haven. Publication Year: 1927. Page Number: iii. Gulf War and Health: Vol 7-Long-term consequences of Traumatic Brain Injury (2008)-The National Academies Press. Harding, Thomas- Belgrano was heading to the Falklands, secret papers reveal. The Telegraph, 26 Dec 2011. Jackson, D.S. FRCS Ed Major RAMC et al-The Falklands war: Army Field Surgical experience-Annals of the Royal College of Surgeons of England (1983);vol 65. Jones, Gareth H. MRCP, Lovett, Jonathan WT MRCPsych-Delayed psychiatric sequelae among Falklands war veterans-.Journal of the Royal College of General Practitioners, January 1987. Kempainen, Robert and Brunette,Douglas-The evaluation and Management of accidental hypothermia-Respiratory Care-Feb 2004- Vol 49-Nº2. McAllister, T.W., L.A. Flashman, M.B. Sparling & A.J. Saykin. 2004.Working memory deficits after mild traumatic brain injury: catecholaminergic mechanisms and prospects for catecholaminergic treatment—a review. Brain Inj. 18: 331–350. Marsh, AR-A short but distant war-the Falklands campaign-Journal of the Royal Society of Medicine-Volume 76 November 1983. 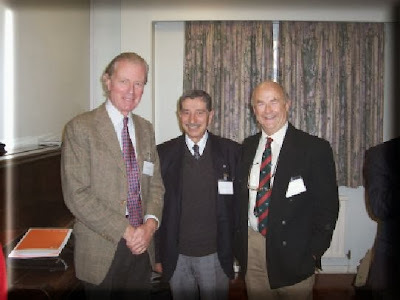 Nichol, John and Rennell Tony-The quiet heroes: The Falklands War medics who had to amputate limbs with a Swiss Army penknife and no anaesthetic. Mail Online, 2009- www.dailymail.co.uk/news/article-1219983. Oakley, Howard Dr.-The hidden enemy: Non-freezing cold injury since the Falklands conflict-RTO-MP-HFM-168 KN2-1-NATO. Ørner, Roderick J.et al- Long-term traumatic stress reactions in British Falklands War veterans-British Journal of Clinical Psychology- Volume 32,Issue 4, pages 457-459, November 1993. Rix, Juliet-Just another dad-The Guardian-Saturday 2 June 2007. Robson D. et al-Consequences of captivity: health effects of far East imprisonment in World War II-QJM 2009 Feb;102(2):87-96 Epub 2008 Oct 14. 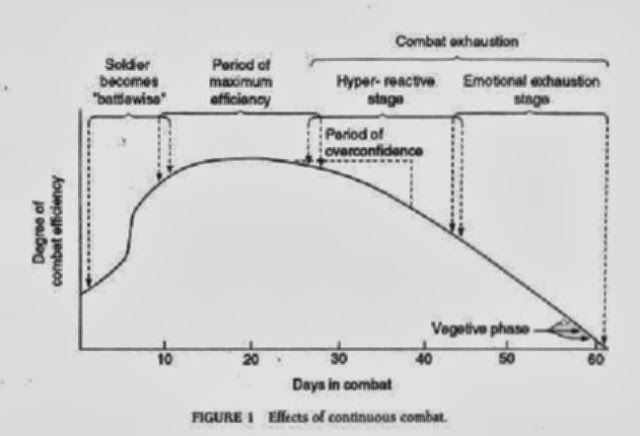 Smith, Jason Surg Commander-Commentary on Military Cold Injury- The Falklands War-JR Army Med Corps 153(S1):69. 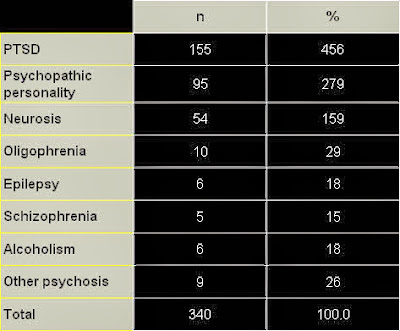 Vanderploeg, RH et al-Mild traumatic brain injury and posttraumatic stress disorder and their Associations with health symptoms-Arch Phy Med Rehabil 90:1084-1093.